One of the elephants in the room as far as Indian healthcare goes is the huge amount of health insurance fraud which is corroding the Indian healthcare system on a regular basis. Because we don’t address this problem , it just gets progressively worse day by day. This is a problem which actually acts like a cancer , and wastes a lot of valuable resources . It is partly because we turn a blind eye to this that we are refusing to find effective solutions to this, by pretending that the problem of corruption within the healthcare system does not exist . 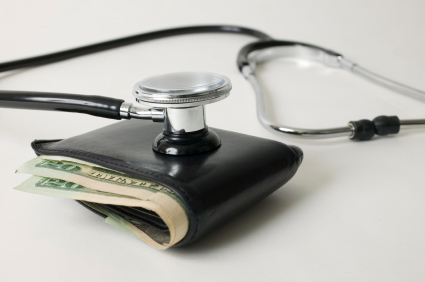 Fraud within the healthcare system exist at multiple levels. It starts off when the client signs up for a health insurance policy . He will often hide information from the doctor – for example, by concealing knowledge about pre-existing illnesses. Sadly, the insurance agent who gets the customer to sign up for the policy often will aid and abet him , by tutoring him as to what to say and what not to . This is because the agent wants to make money by signing up the customer for the policy – he is not really interested in looking after his customer’s long term best interests ( even though he knows that concealing facts may lead the company to reject the claim when the client falls ill). The medical labs which actually do the tests for these medical examinations prior to signing up for health insurance policies and life insurance policies are also part of the fraud. Many of them do what are called “sink tests” . They take the sample and throw it in the sink – and report all the tests as normal, because they are trying to save money on the reagents ! They give fake reports, and the corked agent is in cahoots with them to do so. This kind of collusion keeps everyone happy, because it allows the customer to buy hr policy, thus keeping everyone happy. Sadly, it's the insurance company which ends up having to pay for all this fraud , but unfortunately they refuse to invest in the technology and processes which would allow them to diagnose these fraudulent activities . Doctors are also part of the game. For example, they may not do the exercise stress test properly’ ; or fudge the results, so that the insurance company is not aware of the true health status of the client. The problem becomes much worse when an insured patient falls ill and gets hospitalized for treatment. Hospitals routinely pad the bill for these patients, and often add additional charges for completely fictitious procedures, because they feel since it’s the health insurance company which is paying the bill, so that difference does it make to the patient ? You can see a list of how these bills can be manipulated here. The patient also doesn't care , because this is not money which is coming from his pocket ! In fact, some hospitals and doctors will often agree to slit the excess with the patient ! Because of this moral hazard issue , not only are a lot of unnecessary medical procedures performed on well-heeled insured patients, they are charged a lot more than uninsured patients ! It does not stop here. A lot of customers feel that if I have spent money on a health insurance policy and have paid my premiums but have not fallen ill then I have just wasted my money . Why not recover this by submitting a fake claim ? Doctors are also part of the game , because everyone gets a slice of this free pie. The doctor and hospital create a false certificate regarding the illness and hospitalization ; the agent submits this ; and sometimes even the TPAs who process the claims are party to this fraud . Since it's the health insurance company which ends up paying, no one seems to care because they all think this is “ free “ money to which they are entitled ! This becomes much worse for the government funded health insurance programs for the poor, where the scams run into crores of rupees ! Hospitals and doctors perform surgical procedures for non-existent patients – and as all long as the right wheels are greased properly, no one squeals ! It’s because of all this fraud that the public-sector health insurance companies lose money on a regular basis . They have been able to get away with it for many years simply because it was such a small part of their business , that it didn't even matter if they made losses ! Some deliberately priced their health insurance policy premiums artificially low, so that they would make losses ! Because they were making so much more money in so many other areas ( such as fire and property) , that the health insurance portfolio really didn't make a difference to them at all. This is why health insurance remained a neglected sector, , which everyone ignored . This is why the loss ratios are so excessively high today. They are now no longer losing money, and since they are starting to become profitable , the other players are waking up and following suit. The public sector health insurance companies are starting to learn from these lessons , which they happily ignored all these years . They are starting to adopt these systems and procedures, and thanks to technology , a lot of this will become more open and transparent , as a result of which fraud will become much harder to get away with. It will be the patient and doctor who are ethical and honest who will end up benefiting in the long run. Because health insurance companies will no longer be bleeding and losing money , they will be able to invest their profits in providing better services for their health insurance policyholders . These would include initiative such as patient education, which can actually improve the quality of healthcare which the policyholder has signed up for ! 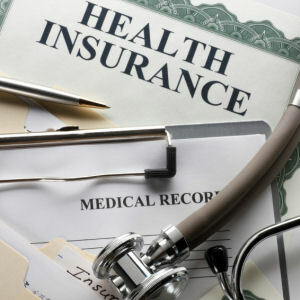 Fraud in health insurance sector is pretty common nowadays, you should be very careful when choosing a insurance company, do some background research. Basically the view I am reading is that everyone is out to commit fraud. A perpetual cat & mouse game. In all this the patient is expected to watch out for the frauds others make. The answer is that it should all be cross audited by independent agencies, initially at random basis and then more intensively. I doubt that an average person is in this 'game' to make money. If he is taking that risk and actually falls sick and the Insurance company does not re-imburse....the stakes are too high. Better to go to the race course. Not everyone is out to cheat you, but because there are fraudsters out there. you need to be aware so you don't get taken for a ride !